It’s a good day on the International Space Station (ISS). A probe that has been collecting soil samples from the Mars surface is on its way back and is about to be intercepted by the team on board the ISS. The hope is that the soil samples will contain evidence of extraterrestrial life. The team – medical officer Dr David Jordan (Gyllenhaal), quarantine officer Dr Miranda North (Ferguson), systems engineer Rory “Roy” Adams (Reynolds), ISS pilot Sho Murakami (Sanada), biologist Hugh Derry (Bakare), and ISS commander Ekaterina Golovkina (Dihovichnaya) – are all excited at the prospect. They’re further excited when they discover a dormant cell in amongst the samples. Derry manages to revive it, and it’s not long before it grows into a multi-celled organism. Back on Earth, the news is received with even greater excitement, and the organism is given the name Calvin. However, Calvin enters another period of dormancy. Derry elects to use a low-level electric shock to help re-stimulate it, but this approach has an unexpected result: Calvin attaches itself to Derry’s hand and begins to crush it. 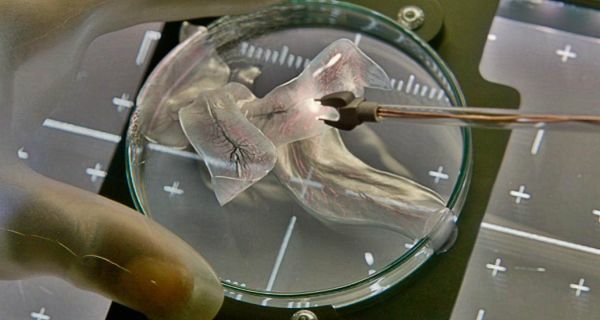 Derry manages to free himself, and while Calvin devours a lab rat, Adams rushes in to the quarantine area to rescue him. Derry gets out but Adams isn’t so lucky: Calvin attaches itself to his leg, leaving Jordan no option but to keep them both locked inside the quarantine area. Adams does his best to kill Calvin but the creature escapes into the vents. As it continues to grow it causes further problems for the crew, leading them to realise that it’s far more intelligent than they could ever have expected. The first thing that anyone will tell you about Life is that it’s so obviously an Alien (1979) rip-off (and that’s supposed to make it a bad thing). And while it does share certain elements with that movie, it’s also a little unfair to damn the whole movie with such faint praise. With Ridley Scott poaching his own genre classic in Prometheus (2012), and no doubt the upcoming Alien: Covenant (2017) as well, accusing Life of being a rip-off isn’t exactly fair criticism. And if imitation really is the sincerest form of flattery, then Life has taken a pretty good template from which to tell its story. What screenwriters Rhett Reese and Paul Wernick have done is taken the bare bones of the Alien premise, and from that they’ve created an intense, thrill-ride of a movie that – if it has a real problem – only falls short when it focuses on the characters. 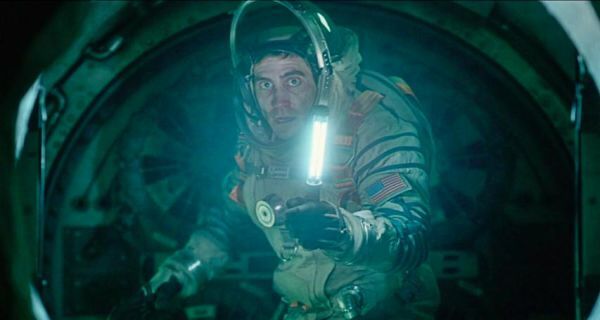 One aspect where the movie doesn’t emulate Alien is in the speed with which it puts the ISS crew in danger. There’s no leisurely build-up, no time to get to know anyone, and as a result, no one to care about. The characters express themselves solely through their roles on board the ISS, and when they do stop to express any philosophical or moral implications to the situation they’ve found themselves in, it all feels trite and under-developed. It’s all a bit Screenwriting 101: give the characters an inner life for the audience to connect with. But these interludes only serve to stall the movie and stop it from what it does best, which is ramp up the tension, exert as much pressure on the crew as possible, and reduce the odds of anyone surviving the longer the movie progresses. To this end, director Daniel Espinosa and his editors, Mary Jo Markey and Frances Parker, have fashioned a series of encounters and showdowns between Calvin and the ISS crew that equate to good old-fashioned, edge-of-your-seat sequences designed to have audiences holding their breath as they wait to see what’s going to happen next. Life is like a rollercoaster ride, but an often grim, horrific rollercoaster ride, one that doesn’t let up (except for those pesky dialogue scenes), and which isn’t afraid to be nasty when it wants to be. Like the Nostromo before it, the ISS is a claustrophobic, up-is-down environment where Calvin could strike at any time. Espinosa lets the camera – operated with his usual aplomb by Seamus McGarvey – roam the corridors and remote areas of the ISS with an eerie stealth, emulating Calvin’s point of view or just setting up a scare that may or may not happen (you’ll never be too sure). With the majority of the movie given over to these sequences, Life holds the attention and plays out its simple storyline with a great deal of confidence and a gripping visual style to it. The cast, however, are hampered by the script’s need for their characters to be introspective from time to time – too often, actually – and when they’re not debating whether Calvin should be feared or admired or both, they’re action figures floating around the ISS trying to survive. Gyllenhaal has a back-story that involves wanting to be completely alone, and which gives you a clue as to the eventual resolution, but it doesn’t resonate enough to feel important, just contrived. Ferguson is the tough decision-maker who won’t feel pity or remorse for killing another living creature, even if it is just trying to survive on its own terms, while Reynolds adds yet another semi-anarchic risk-taker to his resumé, a role he does well but which he could probably do in his sleep by now. Sanada and Bakare have their moments, and both actors are well-cast in their roles, bringing a much-needed sincerity to characters who could have been entirely forgettable. Which is almost the sad fate of Dihovichnaya, except that her encounter with Calvin is one of the movie’s more impressive set ups. Fans of serious science fiction will find lots to annoy them, and though there are many occasions where disbelief is suspended too easily for the movie’s own good, Life isn’t going to be regarded as a modern classic like its genre forbear, but in terms of what it sets out to do – that is, entertain an audience – it succeeds for the most part, and its cheesy, forehead-slapping conclusion aside, is a lot more effective than most people will give it credit for. This isn’t a movie that will change your life, nor will it prompt anyone to become an astronaut and work on the ISS, but it is a solid piece of sci-fi entertainment, and in Calvin it has an alien life form that is one of the most well-conceived creatures ever seen on our screens; and it’s eerily beautiful too. 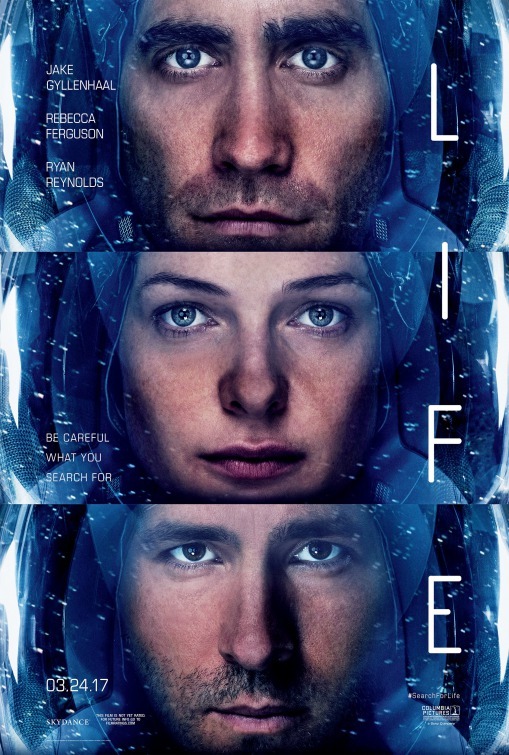 Rating: 7/10 – boasting superb production design and a vivid sense of impending doom, Life isn’t entirely successful, but it does more than enough to justify its existence (Alien clone or not); a popcorn movie for anyone seeking an undemanding hour and three quarters to kill, it’s unashamedly populist moviemaking and none the worse for being so.